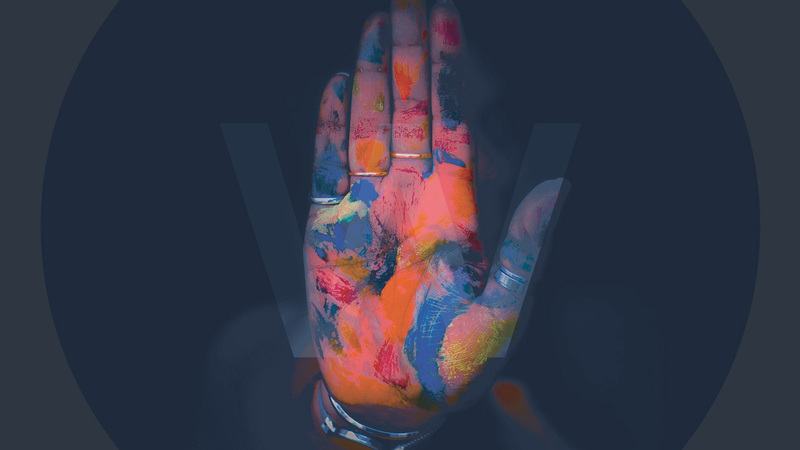 Let’s kick things off with some sobering stats – according to data collected by the Department of Culture, Media and Sport, a whopping 88.8% of employees in the digital sector are from a white ethnic group. We wrote an article 3 years ago, where the figure was 93.3% – a step in the right direction, but slow nonetheless! And when it comes to gender, women are taking up less than 40% of roles. Similar to a large proportion of the private sector, the digital industry has a distinct lack of gender and racial diversity. And ‘digital’ is an umbrella term that covers a wide variety of functions – all having a big impact on the way that we live, work and play. Crafting digital products/services with the input of a predominantly select group means that we’re missing out on so much talent and diversity of thought. Like the people behind them, the products that we create aren’t free of ideology, bias or prejudice. That’s why having more diverse teams at every level of development in a digital company means that end products and services can better reflect users and wider society. So, why is there a lack of diversity in the Digital Industry? Considering the skills gap in digital industries and tech fields, it’s imperative that this gap is addressed, so that the UK sector can compete and we can encourage more young people from all backgrounds to engage with the digital sector and enjoy challenging well-paying jobs. But, putting sales and user experience to one side for a second, on a human level, encouraging more inclusivity in the digital industry is simply the decent thing to do. Diversity and Inclusion shouldn’t just be a side-project; it’s something that is part of a wider cultural change and critical to future success. STEM, tech and digital jobs are white, male-dominated industries and other people don’t see a place for themselves here. Bias/prejudice in the recruitment process. Lack of initiatives and policy to improve diversity. Socio-economic reasons – without a laptop, smartphone, tablet, young people may not be digital savvy or tech literate. Lack of confidence in the classroom, in male-dominated classrooms and male workplaces. Confusion around the types of roles that taking STEM subjects can lead to – outdated preconceptions. Traditional recruitment approaches need to be made more flexible and built around diversity and encouraging harder to reach candidates. Not a clear communication at school that non-STEM subject can lead to digital/tech jobs too. An image of STEM subjects and tech jobs being ‘laddish’ or ‘masculine’. Lack of encouragement from teachers, leadership teams, parents – not understanding tech. Not enough outreach activity in school by tech companies etc. 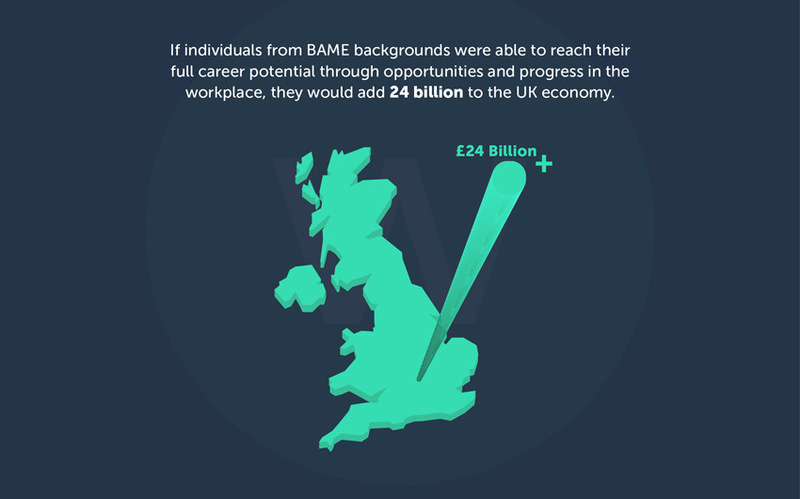 "if individuals from BAME backgrounds were able to reach their full career potential through opportunities and progress in the workplace, they would add 24 billion to the UK economy"
Recent developments by the government are encouraging, but do they go far enough? The Tech Talent Charter’s been proposed by Matt Hancock, the Digital and Culture Sec and it urges companies to sign up to an initiative to tackle the gender imbalance in the industry. The Charter means that companies must include women on interview shortlists when possible and report data for annual diversity reports. Lots of large tech companies have already signed up, including Dell, Sage and Cisco. More transparency is all well and good, but on a more fundamental level, companies need to make their workplaces more inclusive. Quotas, concrete policy, stamping out harassment, addressing the gender pay gap and a real commitment to encouraging women into the digital sector is crucial. And this should be combined with every day, micro-level changes too – preventing a ‘laddish’ groupthink, encouraging a female colleague to go for a senior position, listening to the concerns of women in the workplace and generally helping to build a respectful, comfortable environment. But the gender imbalance in tech starts all the way back in the UK primary, secondary and higher education systems, so this is where the most important work needs to be done. In fact, recent estimates have found that 50,000 girls turn away from STEM (Science, Technology, Engineering, Maths) subjects every year, despite out-performing boys across most GCSE subjects and more so in STEM than other subjects. The jump from GCSE to A-Level sees only 18% of girls continue from GCSE to take a STEM subject at A-Level. Only 5.5% of individuals who complete STEM apprenticeships are women and 24% of graduates in core STEM subjects are women. 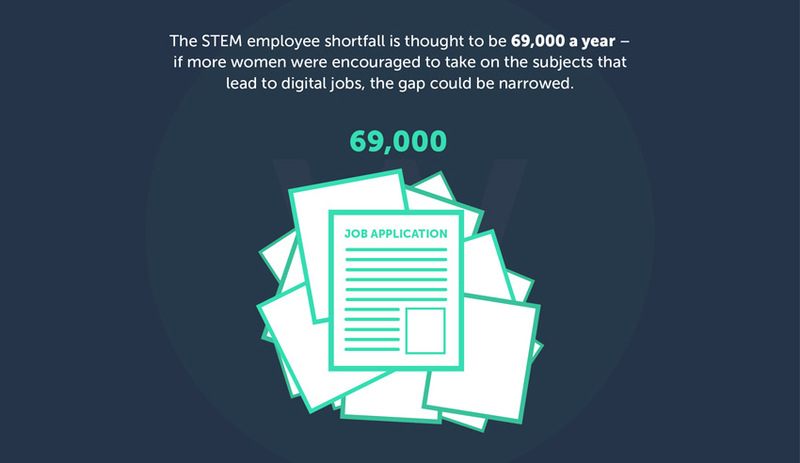 The STEM employee shortfall is thought to be 69,000 a year – if more women were encouraged to take on the subjects that lead to digital jobs, the gap could be narrowed. Eileen Burbidge from TechCity, states that being more inclusive of BAME candidates and women widens the talent pool and does more to address the skills gap. The fact remains, that there’s still a lack of diversity in the UK digital sector, but while gender imbalance is being acknowledged with the Tech Talent Charter, there’s still an absence of dynamic stats on diversity in the tech sector. BIMA (British Interactive Media Association) are pushing for more initiatives and accountability around improving diversity. They believe that a diversity index with baseline diversity stats would help everyone to set targets and see how much further it is for the UK sector to go. Equally, companies that are making positive changes can knowledge-share about the policies they’ve put in place to do this. BME graduates with a first degree are twice as likely to be unemployed as white graduates. BME workers with either ‘A’ levels or HNC/HND-level vocational qualifications are almost three times more likely to be unemployed than their white counterparts. The employment gap between BME and white workers who have completed an apprenticeship is 23%. Black workers with degrees earn nearly 25% less than their white peers. And companies that are in the top quartile for racial and ethnic diversity are 33% more likely to have higher earnings. 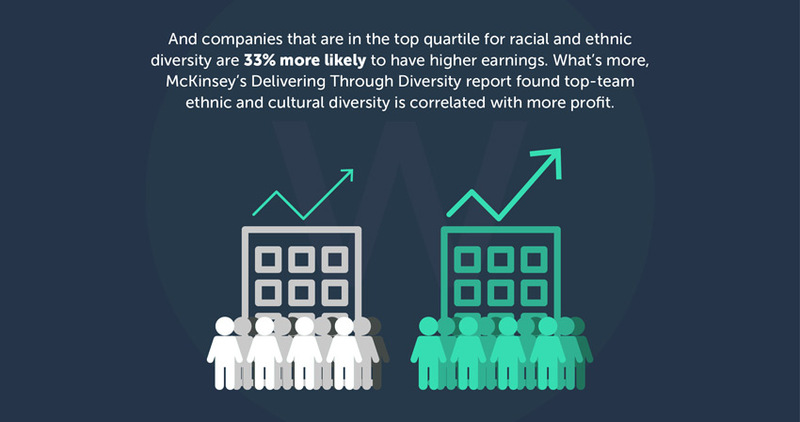 What’s more, McKinsey’s Delivering Through Diversity report found top-team ethnic and cultural diversity is correlated with more profit. Regional and local action is crucial too. There are digital councils and creative boards all over the country and they can be integral when influencing local change – improving diversity on boards and in senior leadership roles helps to put diversity on the agenda and come up with localised campaigns that take an area’s specific context into consideration. Different organisations in the sector can work together and encourage more diverse talent pipelines. There’s a long way to go, but things are going in a positive direction. Most large tech companies are proposing Diversity and Inclusion initiatives, but there are also lots of examples of outreach work and dedicated community partner organisations. Digital companies have to take the initiative and become pro-active when it comes to diversity. 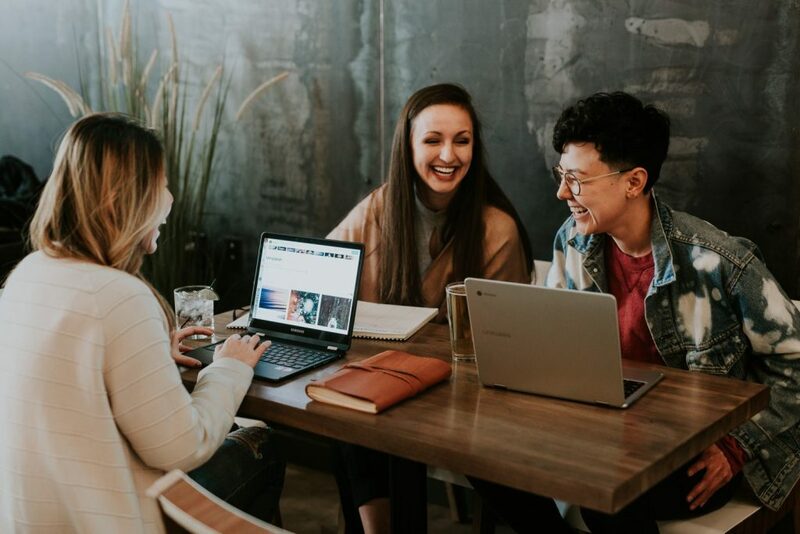 New initiatives nationally and regionally are worth engaging with, as well as looking at your recruitment policies and diversity and inclusion training for current employees. Policies and procedures in the workplace to support diversity, create comfortable workplaces and ensure employees don’t drop out are all well and good but starting at an earlier stage, before candidates get to the workplace is important too. Encouraging as many people as possible to consider a career in the digital sector means that a wider spectrum of backgrounds and identities can learn valuable skills and gain awareness of ethical, security and privacy issues. Different perspectives from a bigger pool of talent help us to look at problems and solutions in different ways and make sure digital products and services are inclusive of all users. Early talent pipelines in school are integral and this is where really valuable work can be done to encourage students of all backgrounds to get involved and gain digital skills. Partnering with nearby schools to give teachers tech support and lead workshops helps to ensure talented pupils don’t drop out of the pipeline, such as code clubs for girls. School curriculums are often unsuitable when it comes to the skills needed in the digital industry and can be outdated and way behind the rapid change in the sector – they constantly have to play catch-up. It’s often about educating teachers about how valuable the digital sector is too and the important work being done there, as it may not be something they’re particularly familiar with – if teachers recognise its importance then they can pass on this enthusiasm to students. Companies can work closely with schools to lead skills-based training or give insight into the types of careers students can think about. And this can carry on in higher education, offering expertise to colleges and universities and making sure your company has a presence at careers fairs and events. There’s also a wide range of roles in the digital sector that require other skills that aren’t necessarily directly connected to STEM subjects. Graphic designers, social media bods, copywriters and marketers can all come from other creative subjects and subjects that the stats show women are more likely to take than STEM subjects. There needs to be more articulation and clarity around how relatable and integral skills being taught in Arts, Social Sciences and Humanities can be to the digital industry and the career path that awaits students that take these subjects. 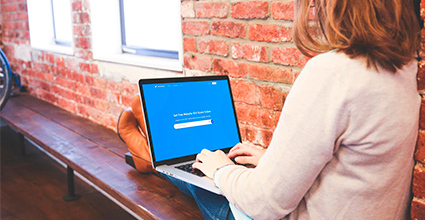 Web isn’t always put forward as an option to these students. It’s important to look at how you can make a change in the digital industry using 3 lenses. Look at early intervention and how you can make an impact in your local area through education; look at the recruitment policies you have in place and the initiatives you can engage in to encourage harder to reach, diverse applicants and look at how you can continue to positively support current employees from diverse backgrounds in your team. Bringing as many different ideas and perspectives to the digital table is paramount to inclusive, supportive workplaces and brilliant products/services that are built with all users in mind.